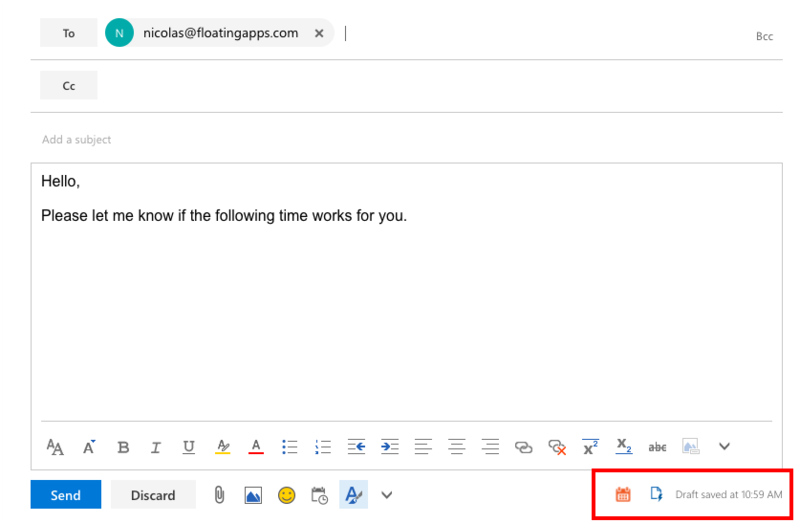 Once the add-in is installed, you will see the Chili Piper button at the bottom of your email body (below). Click on the button. The Chili Piper calendar will pop up (image below) – just select your suggested availabilities. 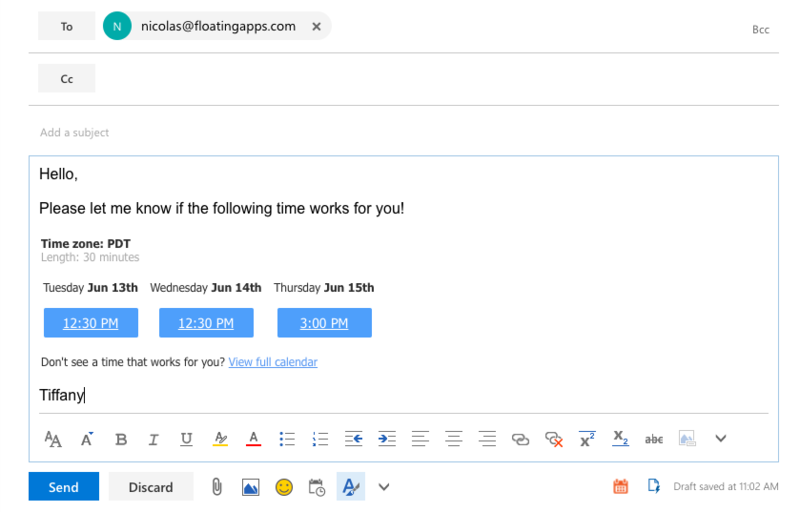 Your suggested times will appear in the body of your email. If suggested time slots are no longer available, Chili Piper will automatically suggest new times instead. 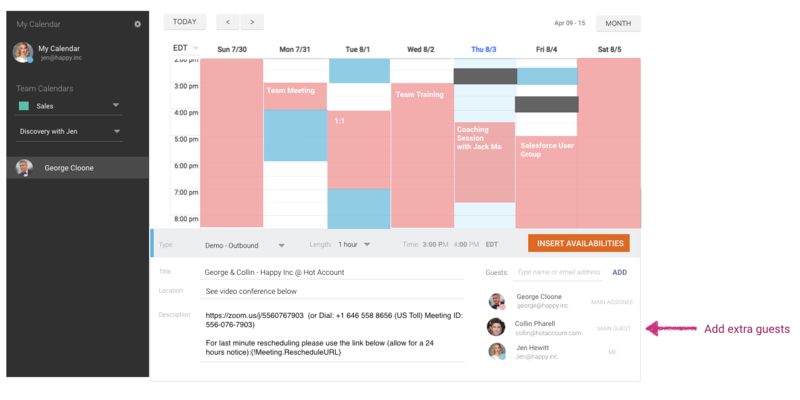 If you invite additional guests to your meeting, everyone will be invited in one click. 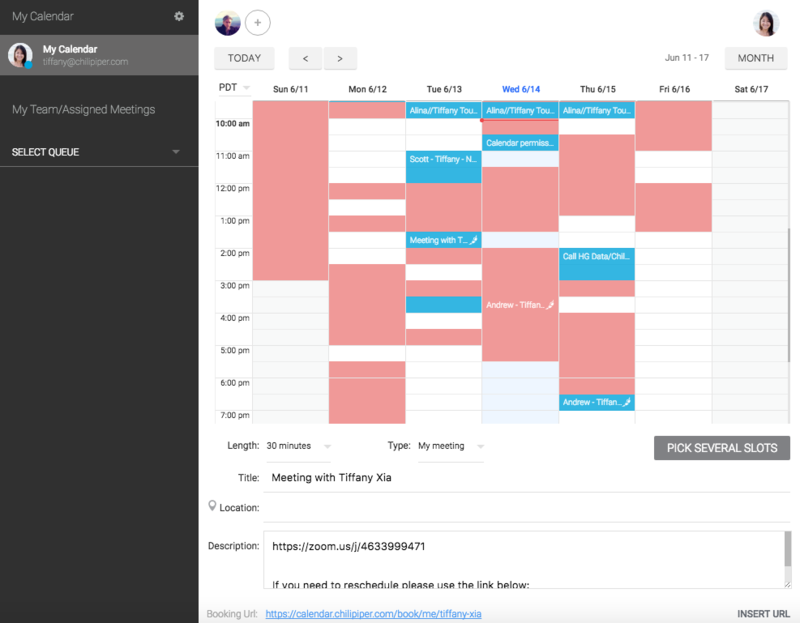 If these additional guests are colleagues, Chili Piper will automatically include their availability in the suggested times/calendar. Why are my dynamic tags not populating?